The Heritage Collection; centuries of beautiful blankets. With our Heritage Collection, Pendleton has brought many of our classic patterns back to life in our USA mills. 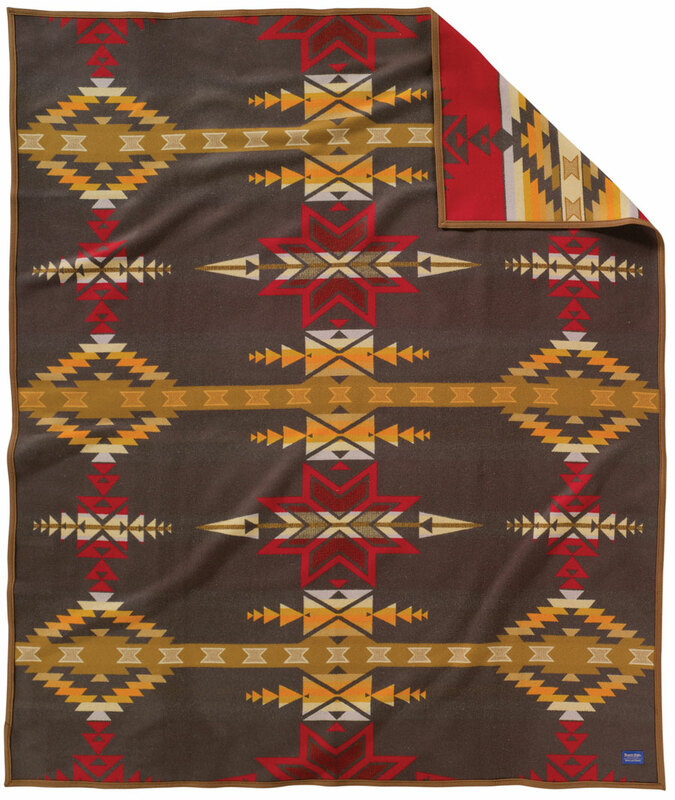 Using designs from our archives as old as 1896, we’ve painstakingly rewoven blankets from the heyday of the Native Trade blanket. These blankets display a dizzying richness of color and geometry. This is the newest addition to the Heritage Collection. Fifty thousand years ago the Canyon Diablo meteorite made its mark on the Arizona landscape. Millennium later, pre-historic Native Americans discovered meteor fragments along the canyon rim. Many Southwest cultures since have considered these fragments to be gifts from the gods endowed with other worldly energy. Today the crater made by the meteorite sits on the Navajo Indian Reservation near Flagstaff. This is an Overall pattern blanket. The Gatekeeper is an original Pendleton design from 1935. An eight-point star is the central figure. This common design element among the Sioux (Lakota, Dakota and Nakoda) often represents the morning star, gatekeeper of the day, shows the way to the light and knowledge. This blanket is a beautiful example of a Centerpoint pattern – one that contains a central design element that falls within a band through the center of the blanket. The Evening Star design features a traditional star symbol emblazoned on the colors of the sunset. The outlined Venus symbols–representing both the morning and evening star–that inspired this blanket have been found on rock art throughout North and South America. Stories of the Evening Star (the planet Venus) are found in a number of Native American myths. This is a Nine Element blanket. 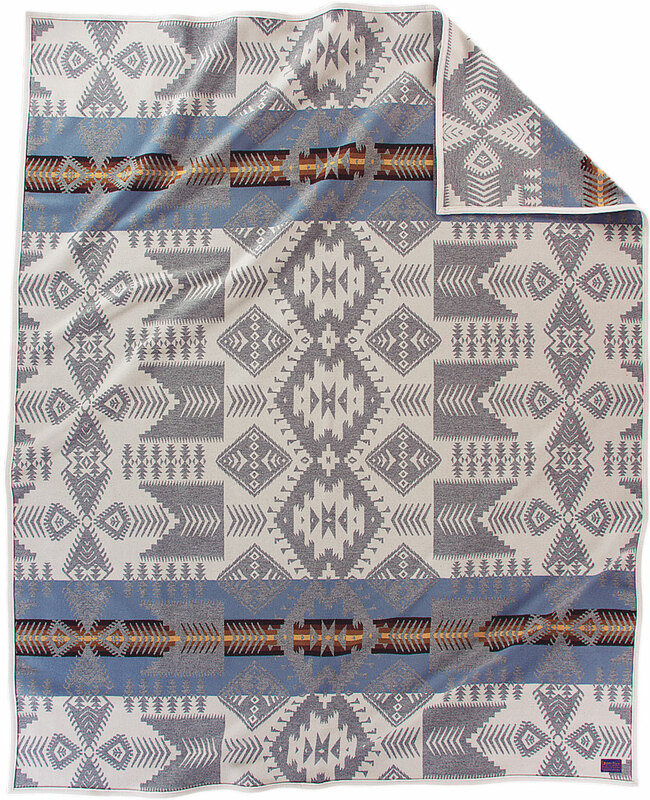 The original Silver Bark blanket dates from the 1920s and was rediscovered in a private collection. The design features stylized arrow, star, diamond and waterbug motifs in colors inspired by the white and grey bark of Aspen trees against a blue sky. The original blanket was bound in satin, like a bed blanket. Our re-creation has a wool binding (twin sizes) or a suede trim (full, queen and king sizes). . It’s a stunning example of an Overall pattern. This has been a favorite in the Heritage Collection for almost a decade. 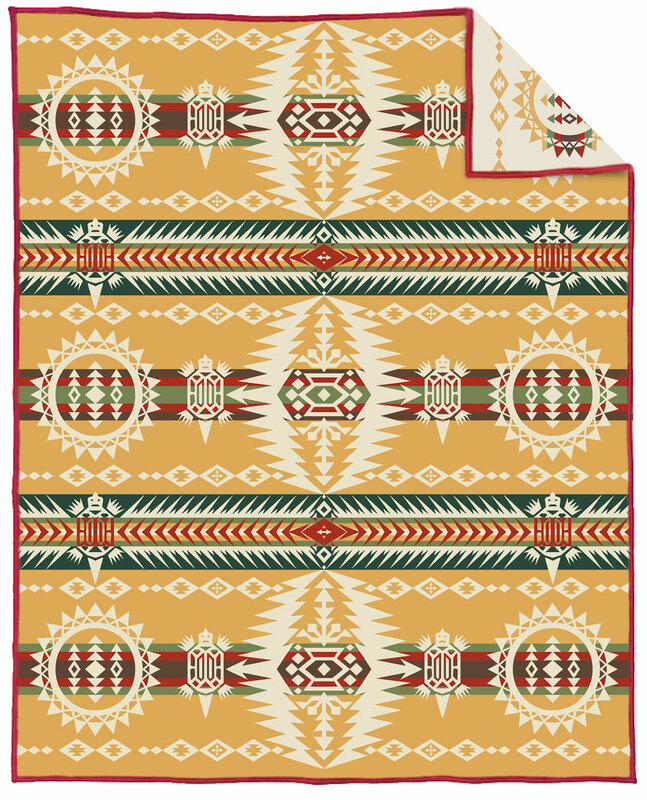 The Turtle Blanket is a re-coloration of an early 1900s Pendleton design, and is one of the longest offerings in the heritage Collection. It pays tribute to the Iroquois Confederacy, one of the oldest participatory democracies on earth, consisting of the Oneida, Seneca, Mohawk, Cayuga, Onondaga (and later the Tuscarora) Nations. The Turtle design was inspired by Iroquois, primarily Mohawk, creation legend. 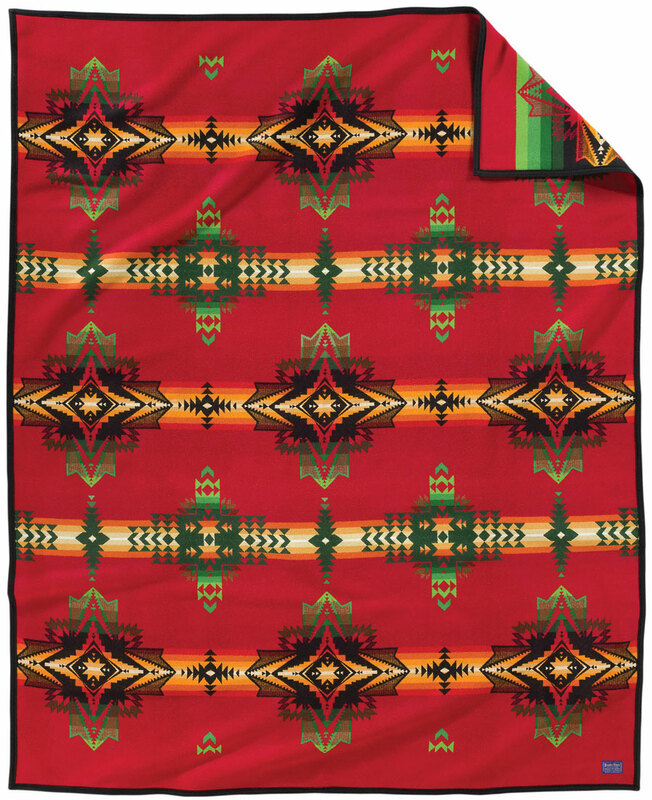 This blanket is another example of Centerpoint design in which three major design elements fall in a row down the center of the blanket. 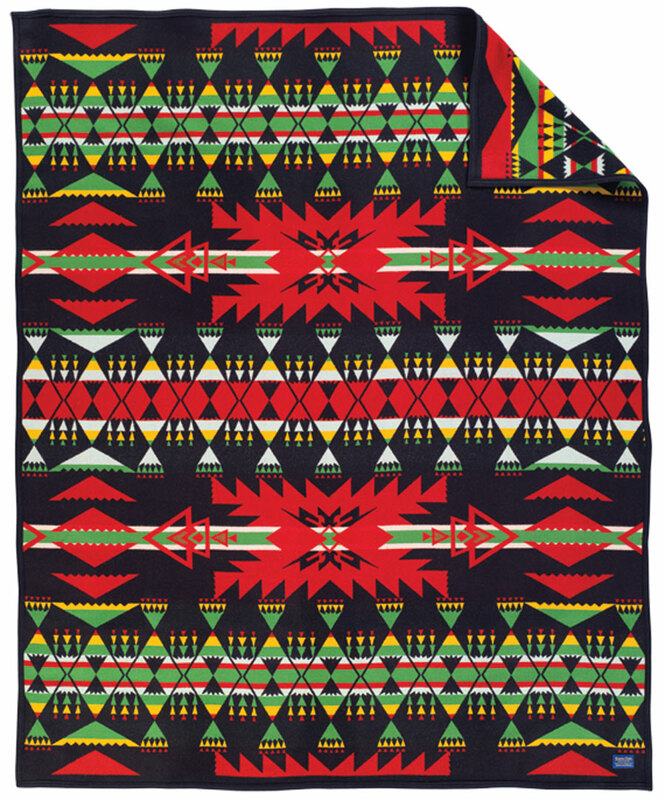 The Heritage Collection blankets are beautiful, but they don’t stay in the line forever. All are available at www.pendleton-usa.com.